GOST 8302:2015. Information and documentation. Bibliographic reference. General provisions and rules of compilation from 01.07.2016 . The main purpose of the author’s profile is a solution to the problem of identification scientists with the identical name and surname. 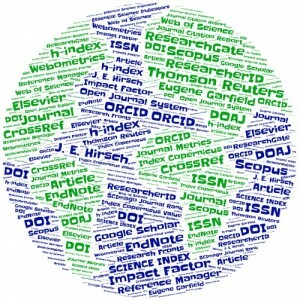 In addition, these platforms allow you to track bibliometric metrics and are a platform for searching as a co-author for joint scientific work. In turn, research institutions, sponsorship funds, scientific communities and libraries through the author’s profiles can quickly and accurately get actual information about the scientific activities of the scientist. Where to publish the study? Webometrics Ranking Of World’s Universities – is one of the world’s universities rankings, which analyzes the degree of representation of universities in the Internet space. Webometrics Ranking is compiled based on the analysis of the four criteria: PRESENCE (20%), IMPACT (50%), OPENNESS (15%), EXCELLENCE (15%). Rating universities in Ukraine III, IV levels of accreditation ТОП-200 UKRAINE. The methodology of the ranking is built in accordance with international principles of university ranking and provides a comparative analysis of the achievements of universities of different types based on some universal criteria, in particular the quality of scientific and pedagogical potential, quality of education and international recognition. Seminar «Public activity of a scientist and institution: strategy, implementation, evaluation» (Odesa, Odesa I. I. Mechnikov National University, 03.07.18), conducted by Iryna Tykhonkova (PhD (Biology), expert on information and analytical resources and Web of Science training). the design of the publication and presentation of scientific works in the author profiles using the tools of Clarivate Analytics. There is also a separate block of preventions of publications in predatory periodicals, and recommendations on avoiding fraudsters. Seminar «Possibilities of Web of Science for qualitative research» (Odesa, Odesa I. I. Mechnikov National University, 07.06.16), conducted Iryna Tykhonkova (PhD, Customer Education Specialist Thomson Reuters). Training «How to be published in international peer-reviewed journals» (Odesa, Odesa I. I. Mechnikov National University, 04.04.16), was supported by the Ministry of Education and Science of Ukraine and Fulbright Ukraine. Iryna Tykhonkova. Ukrainian Scientific Journals information resource for scientists. How to choose the Ukrainian edition of the publication and not to get lost in the world of scientists.